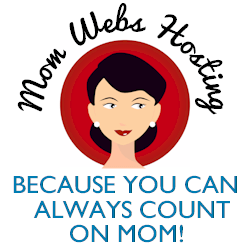 I participated in a campaign on behalf of Mom Central Consulting for CWIST. My kids love doing things for others, whether it be making gifts, donating canned goods to our local food pantry, or running a race for charity. I’m a proud mama! During the holidays, we donate a few toys here and there, but I never feel like it’s enough. This is why I was happy to participate in CWIST’s ‘Kids CWIST For Kids’ holiday giving initiative. It’s the perfect opportunity for my child to get involved and make this a happy holiday season for a child in need. Now let me explain what CWIST is, so maybe you and your kids can do it, too! 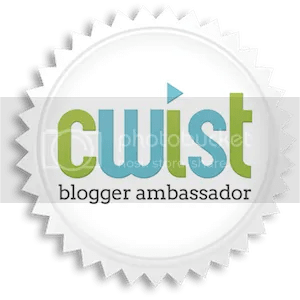 CWIST is a new, free, incentive-based digital platform where parents and educators can share ideas, teach valuable life lessons, and motivate kids to earn the things they ask for by setting goals and rewarding them for their accomplishments. How does it work? Children make a wish, and parents assign a learning challenge (“a CWIST”) that the kid will love doing because it’s interactive and it’s fun. There are two types of CWISTs: Ready-made challenges can be drawn from an online library of age-appropriate educational online games, such as a math challenges. Or, parents can create their own challenge for their kids to complete. This might be a chore, such as filling up two bags of leaves from the yard, or learning activities, like completing a reading assignment. Kids can’t sign up for a CWIST account on their own… only parents. It’s so easy! I registered with my Facebook account in seconds, added Maya, and assigned a CWIST for her right away – The History of Santa Claus. Tis the season, right? There are links to online resources so she can read about Santa, a video about how Santa Claus came to be, several questions to answer about what she’s learned, and a drawing challenge. She has to take a picture of her drawing and upload to finish the CWIST. Talk about a fun activity for winter break! She’s wished for a pizza kit for completing the challenge. The ‘wishes’ can be purchase directly from the site for a discounted price. I figure that’s how CWIST makes money… from affiliate sales. Maya’s gone through and added a bunch of things to her wish list – she loved that part! If you don’t want to spend money, there are also ‘homemade’ wishes, like dessert, or the chance to stay up an hour late one night. Take some time to explore the CWIST library. There are so many fun challenges that your kids can do! With so much promotion about the latest toys and video games at this time of year, it’s easy to get caught up in the commercial side of the season. And with so much emphasis placed on receiving gifts and making wish lists, kids especially can forget the importance and value of giving to those less fortunate. For the holidays, CWIST has launched their Kids CWIST For Kids program which gives children the opportunity to complete learning challenges to give gifts to kids in need. By completing a CWIST, instead of your child receiving the reward, a gift will be donated to a child whose family can’t afford holiday presents. Maya chose a girl, her age, from a shelter in Maryland, and can’t wait to grant her wish of getting a new game! CWIST is donating $2500 in toys in the holiday giving program so don’t wait to get started! Imagine the joy when your child sees how they’ve helped make a holiday wish come true. Maya thinks this is awesome and hopes CWIST does it again next year! This is such a cool thing, I am going to take a look! My kids donate to Toys for Tots every year and last summer they raised $1,200 to outfit a State Police Dog with a kevlar vest. They would love this!